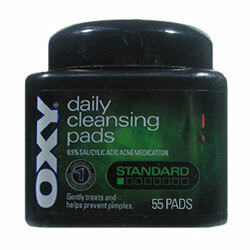 OXY Standard Pads have a patented formula, which effectively penetrates deep into the pores where pimples start. 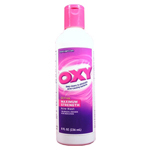 They work continuously between washings to help prevent and eliminate blemishes. Experience immediate results as they instantly start to unclog pores by removing dirt and oil, providing long lasting protection against pimples. 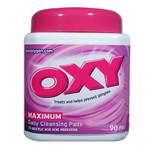 Use a pad to cleanse and cover the affected area with a thin layer of medicine 1 to 3 times daily. Because too much drying of the skin may occur, start with application daily, then gradually increase to 2 or 3 times daily if needed or as directed by a doctor. If bothersome dryness or peeling occurs, reduce application to once a day or every other day.